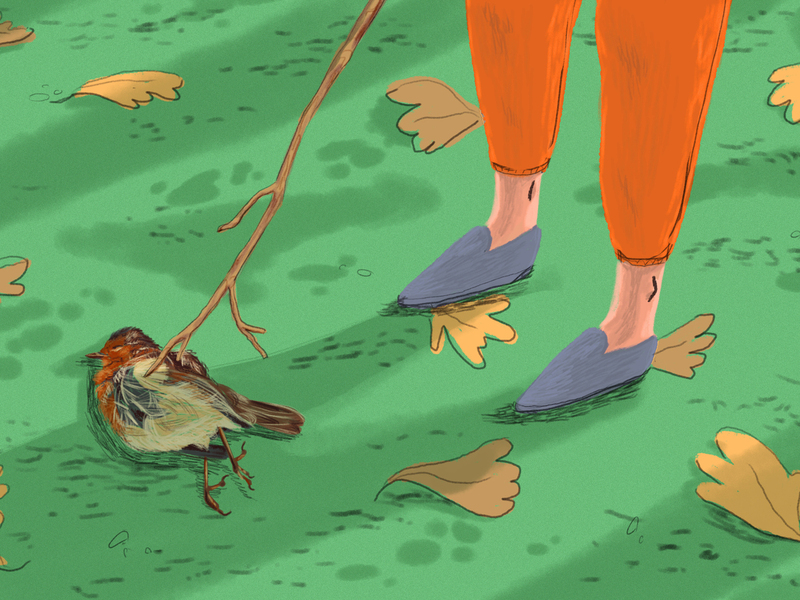 How To Talk With Children About Death Whether it's a goldfish or Grandma, every child will encounter a death at some point — and their parents will likely struggle to explain it. 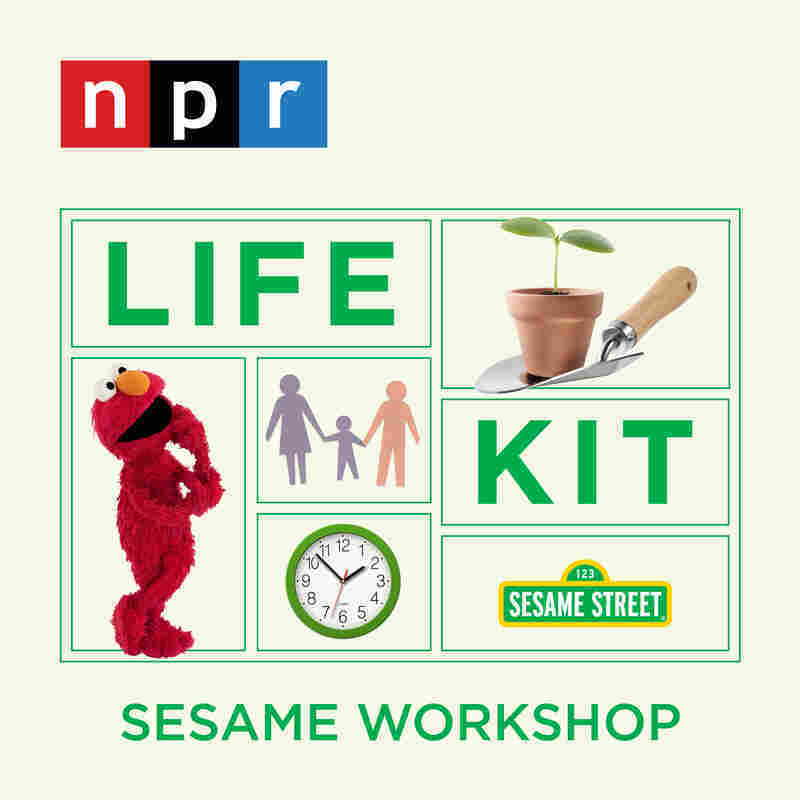 NPR's Life Kit and Sesame Workshop have 6 insights to help. My grandmother sat across from me, my brother beside, my parents at the ends, but conspicuously absent under the table was our dog, Mingo, a black cocker spaniel. Days before, my mother had sprawled on the kitchen floor, holding him, pleading with him to swallow medicine meant to mitigate the effects of his kidney disease. He grew weaker, sicker. The day before my birthday, my parents took Mingo to the vet, where he stayed overnight. "Where's Mingo?" I asked repeatedly at the Thanksgiving table. My parents exchanged pained glances. I know now that life had put them in an impossible bind. Mingo had been dying for months and suffering for weeks. The vet urged euthanasia then and there. My parents reluctantly but humanely agreed. But how to tell me? So they didn't, hoping to wait until after my birthday. "Where's Mingo?" I wouldn't let it go. Finally, they admitted he'd "been put to sleep." I ran from the table in tears. It turns out, I wasn't the only one struggling that day. Death had also come to the unlikeliest and safest of all spaces: Sesame Street. In what would become one of the show's most famous episodes, broadcast on Thanksgiving Day, when show executives knew grown-ups would be home watching with their kids, Big Bird learned that Mister Hooper, who ran Sesame's corner store and lovingly made his birdseed milkshakes, had died. "Mister Hooper's not coming back," one of the adult cast members, Susan, told Big Bird. All the adults were there, gathered in a semi-circle, exchanging the same pained glances my parents did across our table. "Why not?" Big Bird asked. "Big Bird, when people die they don't come back," Susan told him. "Well," Big Bird said, his voice fluttering with fear and confusion. "Why not?" What followed is a master class in how to talk with young children about death. My co-host for Life Kit's audio guide Parenting: Difficult Conversations, Anya Kamenetz, and I revisited that episode with Rosemarie Truglio, a developmental psychologist and senior vice president of education and research at Sesame Workshop, and together we distilled it to a handful of useful takeaways for parents. 1. Be honest and concrete. "Passed away, we're sorry for your loss, went on a long, long journey." Truglio says each of these phrases sends the wrong message to kids. The dead don't pass or get lost or pack a bag and start walking. Especially problematic are the words parents often use, as mine did, when a pet is euthanized. "We put the dog to sleep. That's a really big one," Truglio says, explaining that this is how kids hear those words: "If you're telling me now that the dog went to sleep and is not going to wake up and died, well, I go to sleep every night. Am I going to die?" "When you die, your heart stops, your body stops working. You don't eat. You don't breathe — to give more concrete information about what is the meaning of death," Truglio says. Kids process death in bits and pieces, over time, Truglio says. Don't sit them down once, overwhelm them with information and expect them to internalize it all. Parenting a child through death requires patience and persistence. You may explain, clearly and in concrete terms, that Grandma has died and, three days later, be asked, "When's Grandma coming back?" "They take a bite, maybe two bites, then put it down," Truglio says. "That's probably how they're going to experience death as well. They're gonna take a couple of bites. They're gonna go on with their lives. And then they're gonna come back and they're gonna take a couple more bites." Often, the death of a loved one can be destabilizing for a child, not simply because that person will no longer be in their lives but because it can stir deep fears of being alone or abandoned. That's why, Truglio says, when a child is mourning, make sure they know "that there are many people in their lives — there are grandparents, there are aunts, there are uncles, there are some really, really good friends who are like family." In short, Truglio says, kids need to be reassured: "You will always be cared for." 4. Grown-ups, it's OK to cry. One of the most powerful moments in Sesame Street's half-century history came as actor Bob McGrath, who played a music teacher on the show, took his turn consoling Big Bird. "You're right, Big Bird. It'll never be the same around here without [Mister Hooper]. But you know something?" McGrath said through tears, his voice halting. "We can all be very happy that we had a chance to be with him and to know him and to love him a lot when he was here." It was a remarkably tender and honest display of emotion between an adult and the childlike Big Bird. And this, Truglio says, sent a powerful message to parents and kids alike. "It's important for children to see us grieve," Truglio says. "We're gonna cry, and I think that you need to explain why you're crying. This isn't gonna be just a one-time event." That's especially true if you, the parent, are mourning the death of your own parent. Showing emotion and explaining the feelings that underlie those emotions helps prepare children for future moments when you may, again, feel overwhelmed by grief. One place kids will certainly be exposed to a lot of grown-up emotion is the funeral or memorial service, which is why many parents struggle with whether to bring them at all. When it comes to funerals, Sesame's Truglio has this advice: Give kids a choice. "You should never say, 'You have to do this,' or make them feel guilty if they choose not to participate," Truglio says. "You need to give them that wiggle room. You can't force them." But tell them what to expect, whatever they choose. So, if you're going to a funeral with an open casket, explain what that will mean. Again, be clear and concrete. Then let the child decide if she thinks she's ready for that. 6. Keep the hope alive. Finally, Truglio says, it's important to convey to your child that "life is going to go on. We're going to be OK. It's a tough time right now, but we have things to look forward to." One activity she recommends is having your child trace her hand on a sheet of paper, and for each finger, ask her to list something that she's looking forward to. It could be something as big as a planned vacation or as small as going to school to see her friends. The point, Truglio says, is to keep the hope alive. The folks at Sesame Street did this beautifully with Big Bird. At the end of the emotional Mr. Hooper episode, Big Bird sits quietly in his oversized nest. Suddenly, he's visited by the show's grown-ups, who introduce him to a new baby on the street. "Gee, you know what the nice thing is about new babies?" Big Bird asks. "One day they're not here, and the next day, here they are!" Life Kit is NPR's family of podcasts for navigating your life — everything from your finances to diet and exercise to raising your kids. Look for new podcasts each month. Sign up for the newsletter to learn more and follow @NPRLifeKit on Twitter. Listen to all our Parenting: Difficult Conversations episodes. If you like this article, check our other offerings from Life Kit, NPR's family of podcasts for navigating your life. Sign up for the newsletter to learn more, and follow @NPRLifeKit on Twitter. Email us at lifekit@npr.org. If you've got a parenting challenge you'd like us to explore, email us at parenting@npr.org.